Chris Patermann is simply the “father” of the European bioeconomy. Since January 2004 he was Programme Director for “Biotechnology, Agriculture & Food” Research at the Research Directorate-General of the European Commission, which from 2007 also comprised Aquaculture and Fisheries as well as Forestry. 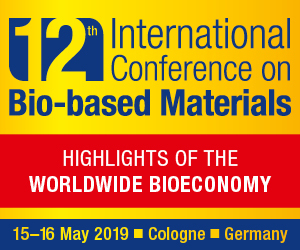 During these years he was responsible for the elaboration of the new concept of the Knowledge Based Bioeconomy (KBBE), which today is known as bio-based economy or more simply bioeconomy in Europe. He was also appointed Chairman of the oldest Committee between EU Member States and the European Commission, the Standing Committee on Agricultural Research, SCAR. He also served for 4 years as co-chair in the important EC-US Task Force Life Sciences and Biotechnology Research. In August 2007 Christian Patermann retired. He now lives in Bonn and advises public and private institutions and companies, among them the largest German Land NorthRhine-Westphalia, the Fraunhofer Society, the Swiss Agricultural Research Council etc. With Chris Patermann, who is one of the most influential people in the European bioeconomy, we talk – in this long exciting exclusive interview – about what was the vision that inspired the beginnings of the European strategy on bioeconomy, but also the future of this meta-sector through which the European Union can aspire to economic growth, creation of jobs and environmental sustainability. You are considered the father of the European bieoconomy. Can you explain how it all started? What was the vision that inspire you? It all started in Brussels in spring 2004, when we prepared for the 7th FP (Framework Programme, editor’s note), which published its first communication on content and structures about one year later. It was the time, when industrial biotechnology, or white biotechnology started to thrill people. The GMO debate raged in the Commission, the Lisbon strategy emphasizing the knowledge based economy for Growth and Jobs had just started, and we introduced Technology platforms as new ways of cooperation and communication among academia, industry and technology providers. We faced the dilemma that agricultural research was practically eliminated within the 6th FP with the exception of policy support activities, the famous so-called 8th priority, and interest in food, forestry and fisheries was rather little, more defensive than proactive. On the other hand we had to state an enormous scientific progress in knowledge on biological resources like animals, plants, microorganisms and insects. Against this background we discovered that within the growing attention for biotechnology in Europe and elsewhere, the Ministers of RTD of the OECD in an interesting strategic document on “Biotechnology for sustainable Growth and Development “, agreed and published end of January 2004, had stated that it could be useful to think about the development of a “biobased economy “. They defined in a footnote the bioeconomy as an “economy that uses renewable bioresources, efficient bioprocesses and eco-industrial clusters to produce bioproducts, jobs and income.” We asked our colleagues in Paris, whether they wanted to pursue this: no one really knew what the ministers had meant with it. So we started to discuss internally, whether we could not use the immense mass of new knowledge on biological resources with their unique features of renewability, carbonfriendliness, potentials for re-use and multiuse in cascade forms, and also perspectives and chances for new functions and properties of biological materials as the base for a new economy concept. This was our vision: at the beginning very clear to be primarily an RTD concept, close to the concept of Sustainibility, and also connected with the hope to raise more political interest for agriculture, forestry, fisheries, food etc. in the future. A year later we had successfully introduced relevant chapters for the first draft of the 7th FP, and on the 15th and 16th of September 2005 having consulted intensely also colleagues in the EU, the US, Canada, Brazil, South Africa, China and Russia we went public with the first international Conference on the so-called knowledge based Bioeconomy, KBBE, in Brussels. For us it was also essential to show the openness of this concept for the integration of knowledge stemming from other new technologies, like Information –and communication Technologies, Nano and cognitive Sciences etc. also in the name of the concept. Interesting enough, this conference in September 2005 was held in parallel by a conference on the same day by the Chinese Minister XU Guanhua in Beijing, and Commissioner Potocnik and his colleague transmitted both the same text as greetings to the audiences. The name of the Chinese Conference of inauguration carried the title “ Bioeconomy for Everyone”. And in 2007, with the start of the 7th FP we had more than 2 billion euro of funds. What is your opinion on the development that took the Bioeconomy in Europe over the past 3 years? Three years ago we had 2012, the year in which Europe as the first continent published a true policy and economy strategy of the Bioeconomy, which put this new concept in the context of the Troika Green Growth, Sustainibility and Innovation, indeed a true innovative strategy. Only weeks later the US and Russia followed with their own policy and strategic concepts of the bioeconomy. 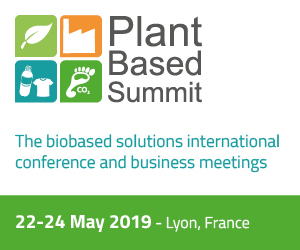 Since these months until today we count in more than 40 countries all of over the world policy strategies, national Bioeconomy programs, action plans, roadmaps for biorefining etc. and this number is growing month by month. So on paper, as a strategic movement it looks like a growing, unexpected success: the G7 dealt with it, end of November 2015 there will be the first Global Bioeconomy summit in Berlin, the Commission just held a Bioeconomy Investment summit, not an RTD Summit, what an interesting signal for moving ahead out of the former “niche” of “just” being an concept of Research and Technology! The relationship between the Bioeconomy and the sustainable development and recently to the circular economy is debated rather hotly, and industrial biobased products are entering the market, from bottles for drinks to nonallergic new fibers in cloths, from not flammable foams for buildings to biobased succinic or levulinic acids as chemical ground portals with new functions. These activities still remain niche activities in comparison with the overall industrial turnover activities, but it is a very good progress. Not for nothing that EU- Commissioner Moedas therefore now demands a new dialectical jump for the Bioeconomy: “from niche to norm”. You were one of the protagonists of the last Bioeconomy Investment summit. What are the messages you brought home? First of all I want to congratulate the Commission, its Director John Bell and his head of units plus staff for the great work. Organization and content of this conference. As just said before, the main message is to get the bioeconomy out of the niche, into the public attention, in the scope of policies, in the scope of larger industrial activities and of global cooperation. Other important messages were: think about a stronger involvement of health topics, their stakeholders and funders, and in this context create fair conditions and level playing fields also for non-energetic and other uses of biomass. It is not good that until now energy exclusively enjoys a very privileged pole position. This disregards our original very popular slogan Food, Feed, Fiber and Fuel, which certainly is not a silver bullet but can be dynamically developed! And last but not least the message: we will have not just one Bioeconomy, but many bioeconomies, although this make generic rules and common, comparable frameworks for its implementation and practice more than ever necessary. There is a good start for example for norms and standards, but procurement incentives on the bases of experiences outside Europe in public procurement should be really discussed, even if only for a certain period of transition time. This also belongs to level playing fields! What do you think the European Union needs to compete in the world economy? This is an old topic. Europe is great in ideas, concepts, even action plans, but has as everybody knows deficits in implementing them at a reasonable time scale. So one important buzz phrase of the Investment Summit was: Speed and Scale up! This might sound again trivial, but is very very serious. It is high time that less red tape, less egoism in circles and branches, regions and nations is overcome, and that we act. The Lead Initiative of the EU had excellent ideas how to identify and overcome obstacles for biobased products, but what has come out of it in the Commission and, at least as important, in member States? This also belongs to my wishing list on how to regain competitiveness. Now the new paradigm is that of a circular economy. Do you think it is possible (and desirable) to anchor the bioeconomy in the circular economy? 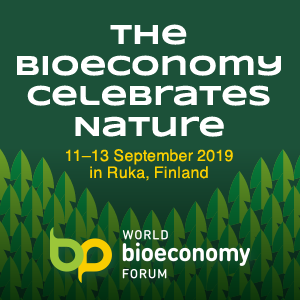 I am personally very biased in this discussion as I am probably one of a very small group of persons who have been working in the bioeconomy and 20 years ago in the circular economy. In Germany we had even passed about 20 years ago a Kreislaufwirtschaftsgesetz, a national Circular economy Law, with the aim to reduce waste and act as resources efficient as possible, with quotas etc. So in Germany no one really is impressed by this new wave of discussion. This is, when you talk with many many colleagues, regarded a so-called “alter Hut”. The former Federal Minister for Research and Technology, Jürgen Rüttgers, later Prime Minister in -Westfalen, had propagated at that time the slogan: Thinking and Acting in Cycles- Denken und Handeln in Kreisläufen, and I wonder why at this moment this old concept has become so much the center of attention! The bioeconomy, to be very blunt, is more than the circular economy, as its unique features of their biological resources are in addition to re- and multiuse in cascade formats: renewability, carbonfriendliness and in particular creation of new functions in biobased products, like longer endurance, higher stability, longer lifetime, less toxicity and less emissions etc. The element of re- and multiuse in cascade format, also an important one in biological resources, is indeed the overlapping and touching point with the circular economy, which has its large advantages in how to deal with resources efficiency, minimising waste etc. My view is very simple. Both concepts are highly complementary, and I don’t think it is appropriate to talk about reciprocal integrational position of both. The bioeconomy is complementing the circular economy as a kind of motor, as my colleague John Bell uses to say. Both concepts have their own merits, we should focus on identifiying their joint advantages and link them. Jointly linked they are hardly to be beaten! An excellent example of such a co-existence, of such a Verbund, as also practiced by BASF for years as a company strategy, are the large industrial complexes of IAR at Bazancourt-Pomacle near Reims, from my point of view the most impressive Verbund of circular and bioeconomical activities and infrastructures in Europe, but maybe there are also others I would strongly welcome to be made more widely known. Thus my urgent request to decision-makers, funders, media representatives, but also NGOs is: Join forces, and don’t start a lengthy quarrel who is to be integrated by whom. The world outside Europe dashes along to build-up, scale up and speed up a new Bioeconomy World! We should not loose time to get a niche closer to a norm as soon as possible. I think we, Europe, can do it.